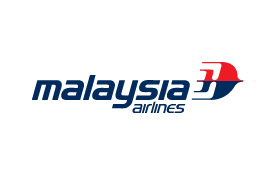 Malaysia Airlines is the national carrier of Malaysia and one of Asia's largest airlines, serving 40,000 passengers on more than 300 daily flights. From its home base in Kuala Lumpur, the airline connects customers to its extensive network of more than 50 destinations across South East Asia. Connect seamlessly to destinations across Malaysia and beyond. Earn and spend Skywards Miles on one-way and round-trip international and domestic flights marketed by Malaysia Airlines. Please give your Emirates Skywards membership number when booking your flight and present your card at check-in. The number of Miles you earn on your Malaysian Airlines flight will depend on the distance flown and type of ticket purchased*. *You won’t earn Skywards Miles on travel in the following Malaysian Airlines sub-classes: P, U, I, E, X, T, N, Q, O, G and W.
Spend your Skywards Miles on one-way or round-trip reward flights with Malaysia Airlines in Economy Class and Business Class. You can’t use your Skywards Miles to book flights in First Class. The table below shows how many Miles you’ll need for a one-way reward flight. You’ll need twice as many Miles for a round-trip flight. You can use your Miles for travel in either direction between the cities listed below. Codeshare flights operated by airlines other than Emirates and Malaysia Airlines are not eligible to earn Miles (MH5000 & MH9000 series and flights operated by Firefly coded FY/MH). The following Malaysian Airlines sub-classes are not eligible to earn Skywards Miles: P, U, I, E, X, T, N, Q, O, G and W.
Miles cannot be earned on the following flights and ticket types: Charter and special flights (MH8000 series), Freighter flights (MH6000 series), SNCF Eurostar flights (MH4000-4053), MASWings operated flights (MH3000 series), Group Inclusive Tour (GIT), Inclusive Individual Fare (IIT), reward tickets, industry, agency discount tickets and free ticket promotions. If you don’t mention your membership number before your flight, you can request post-flight credit by sending your flight details to Emirates Skywards using the claim Miles form. Emirates Skywards members can redeem Skywards Miles for Malaysia Airlines flights in Economy and Business Class. Miles cannot be redeemed for First Class flights on Malaysia Airlines. Reward tickets are not valid on codeshare flights operated by any other carrier other than Malaysia Airlines. Reward tickets are valid for 180 days from the first outbound departure date. Miles shown in the table above are for direct flights only. Where no direct service is operated, two or more rewards may be required. MH flights must be confirmed at the time of mileage redemption. Waitlists are not permitted. Children traveling on reward tickets will be required to redeem the same amount of Miles as that of an adult. Infant Rewards are not permitted. Baggage allowance depends on class of travel. This will need to be manually entered on the ticket mask. Please refer to the Malaysia Airlines website for details. A rush reward fee of US$75 applies for reward bookings made within 24 hours of outbound travel. A rush reward fee of US$50 applies for reward bookings made within seven days of outbound travel.